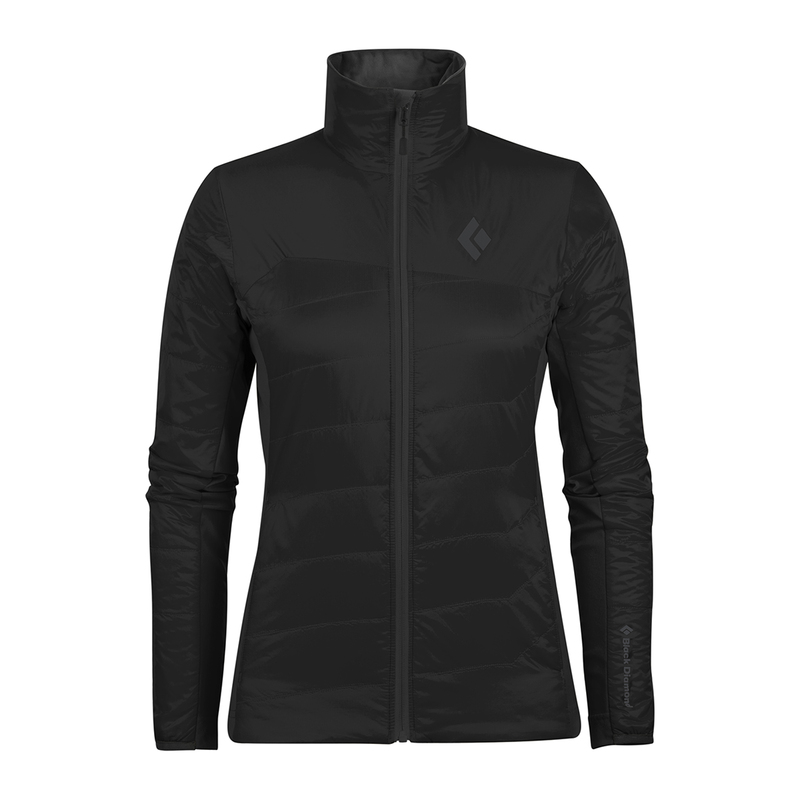 The Black Diamond Access LT Hybrid jacket is ideal as an insulating layer or a stand-alone piece, designed to be used for a range of activities. 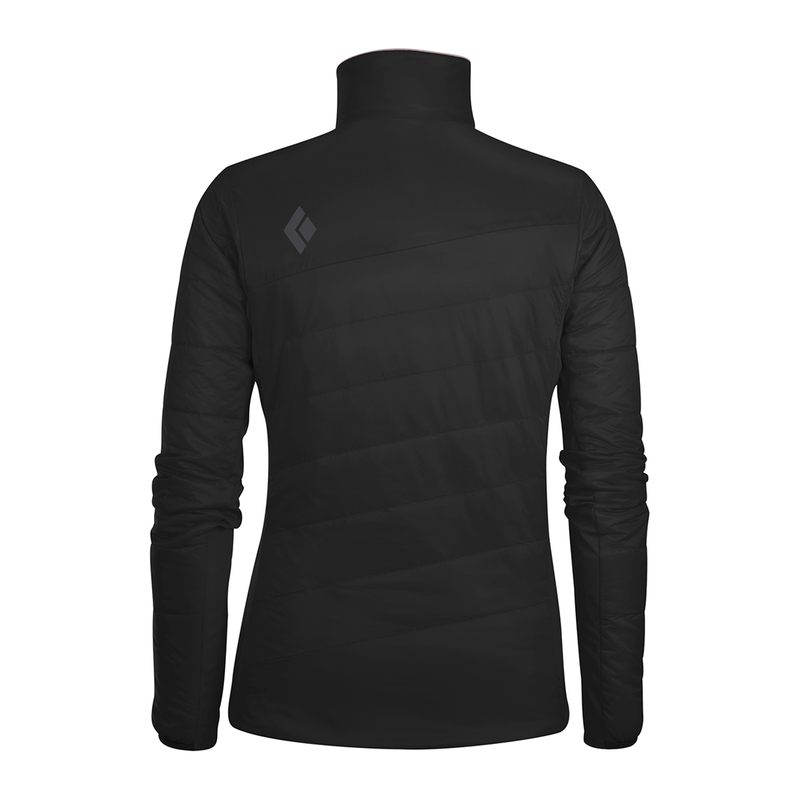 Constructed from lightweight Pertex Quantum with Primaloft Gold insulation and stretchy, Schoeller soft-shell side panels, it will keep you warm, but breathe in the areas where you’ll want it to. Add in a water resistant coating, hand pockets and a chest pocket that doubles as a stuff sack, and you have everything you need for a chilly day of climbing or skiing. NanoSphere is a water resistant coating like DWR which protects your kit from water and dirt. NanoSphere uses technology borrowed from a leaf whose finely-structured surface repels water and dirt by making it harder to establish proper surface tension. The NanoSphere stops water from soaking into the outer layer of waterproof fabrics meaning they remain breathable and light in even in heavy rain. Primaloft Gold is a high quality synthetic alternative to traditional down insulation. It’s structure creates millions of pockets of air trapped between it’s fibers which heat up and insulate you from the cold outside. The synthetic fibres have been engineered to be water repellent, meaning that even when wet they retain their loft and they they dry quickly. Primaloft is also hyperallergenic. It is slightly heavier and bulkier than the equivalent amount of down however due to it’s properties this compromise is worth it, especiallly if it’s likely that your insulating layer will get wet. Pertex Quantum is a very lightweight water resistant fabric usually used to reduce wait while providing weather protection for down and Primaloft products. Quantum is at the top end of Petex’s range of fabric and combines durability and weather protection with an incredibly light weight of less than 35g/m2. It is also super soft which improves both comfort and packability. Bluesign is an international standard for fabric production which ensure that stringent environmental, safety and efficiency standards are are met by any fabric bearing this logo. Bluesign fabrics use fewer chemicals, less water, safer processes and highly efficient manufacturing techniques to ensure that the creation of your new jacket doesn’t destroy the world you hope to use it to enjoy. Black Diamond have spent years manufacturing climbing and safety hardware with no room for error in manufacture or functionality. They have applied this approach to their new clothing range meaning that it has a 100% warranty guarantee. If you’re not totally satisfied with your Black Diamond product the will repair, replace or refund it - no questions asked!